Yesterday was a way better day!!!! Even though it was a lil rainy out, it was like the rain was washing away my worries! I picked up my husband from work, and he had great news! He may be picked to be assistant manager for the new produce department at Target, so that is so awesome! Then, we headed over to this cute lil boutique, called Delightful Digs where I wanted to pick out a gift for my Aunt Beth who has been feeling a lil down, and I wanted to brighten up her day. This boutique has some really cute things in them, I really wanted to shop for myself, but I had to keep myself in check! lol I found a cute Quote that hangs on a wall, and I got it for her. She loved it! I wish I could remember the quote, or find it, but I cant :( I will have to take a picture of it when I see her again (which will be tuesday, when I go over there to do my cousins makeup and hair). and I finished all my food, while both of them could not finish theirs!!!!! I wasnt even full either! 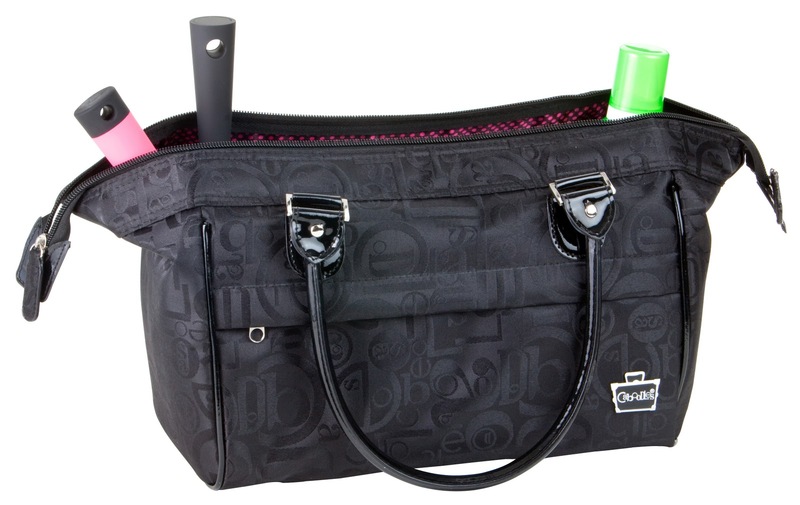 I normally steer clear from Caboodles, but They have been coming out with cute cases and bags, so I couldnt stay a "hater". I am still building my make up kit, but for the makeup I do have right now, this bag is perfect! It fits everything and has cute pockets inside, I will do a video on this bag as well!